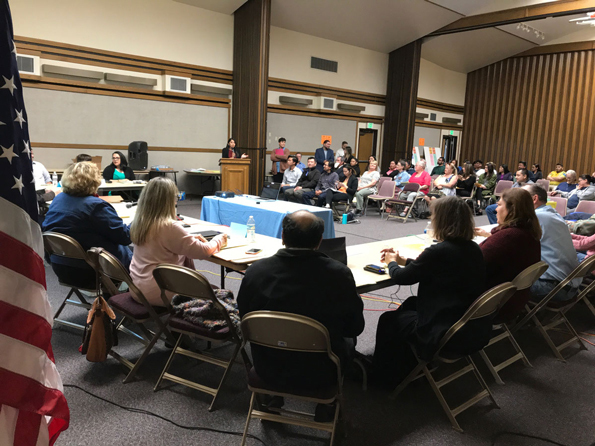 At SVANC's regular monthly board meeting, Caltrans presented their plans for raising 8 bridges along the I-5 freeway to accommodate larger trucks. To read about this project, please Click to go to the I-5 Freight Corridor Construction Project. We would like to thank the members of the Church of Jesus Christ of Latter Day Saints for their hospitality and incredible help in allowing us to use their beautiful facility. 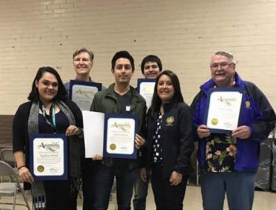 SVANC Partnered with Assemblymember Luz Rivas and the International Rescue Committee for the annual Citizenship Application Assistance Workshop Nov. 2018. All the reservation slots were filled and 50 people applied to become US Citizens. Thanks to the volunteers and to Our Lady of the Holy Rosary Church for hosting this important event. Luz Rivas presenting SVANC Board members with certificates of appreciation in assisting with the Citizenship Workshop. Left: Volunteers cleaning up the area just west of Lanark. 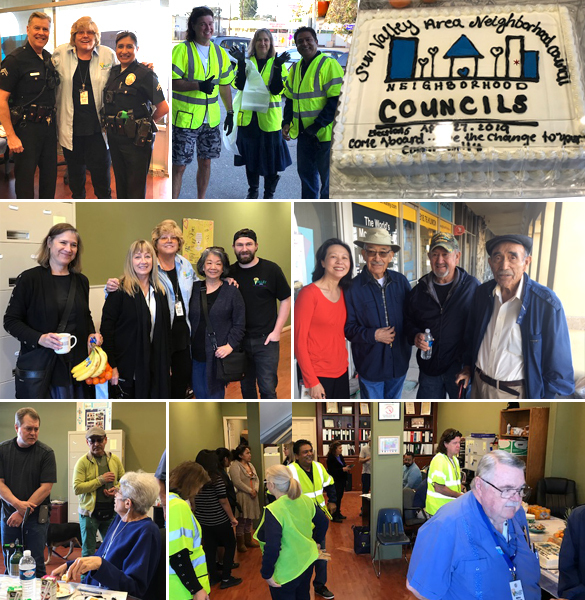 Right: SVANC Board members in vests from left, Monica Vacas - Outreach Chair, Sam Khalaf - Election Committee Chair, and Wendy Thum - Beautification Chair, are joined by State Senator Portantino's representative Vickere Murphy (in red). 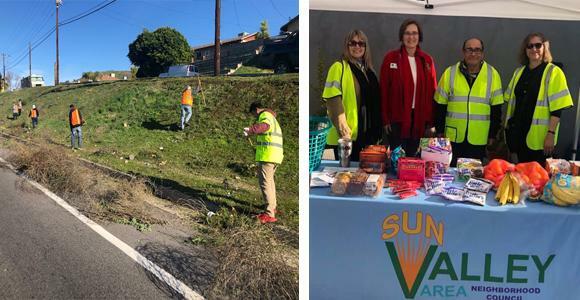 Sun Valley Clean-up along Glenoaks Blvd. The SVANC Beautification Committee sponsored a clean-up along Glenoaks Blvd between Lanark & Nettleton. Weeds were wacked and trash was gathered. To all the volunteers, we say THANK-YOU! In addition, the SVANC Outreach & Electioin Committees helped get the word out about the upcoming SVANC Elections. Congratulations to the new Sun Valley CERT Graduates! 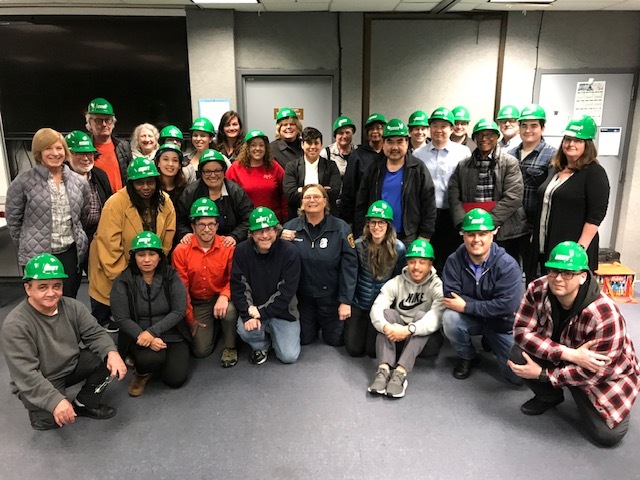 SVANC was pleased to co-sponsor the first ever Sun Valley CERT class with Councilmember Nury Martinez. We thank CERT instructor Susan Jensen, CERT Battalion 12 Coordinator Janet Gibson and Field Deputy Caroline Menjivar for their insight and help in coordinating this 7 week class. We are very grateful for the use of the LADWP Steam Plant for hosting these classes. For information on the LAFD CERT classes and Emergency Preparedness information, please go to CERT-LA.com . We held a combination clean-up, SVANC Board Election Kick-off, and Welcome to the New SVANC Office January 26th. We were thrilled with the turn-out and so happy to see old friends attend. 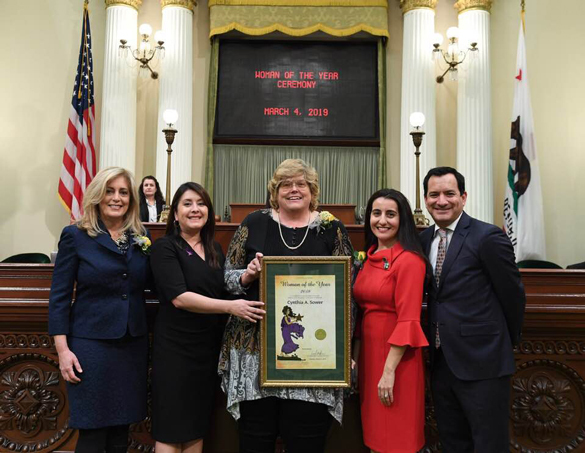 ﻿39th Assembly District's Woman of the Year! Thank you Luz Rivas for a very deserving recipient of this year's Woman of the Year! Recently, the SVANC Emergency Preparedness Committee was expanded to now include Public Safety as well. 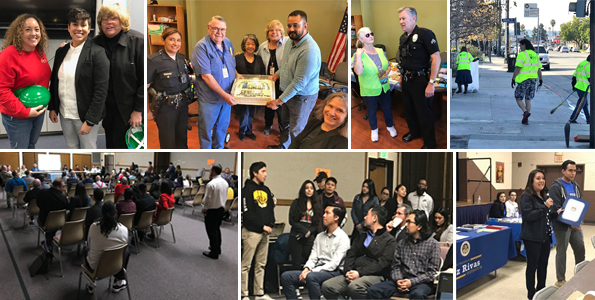 A meeting which emphasized our Sun Valley businesses was held on March 9th with featured speaker LAPD Sr. Lead Officer Richard Wall. 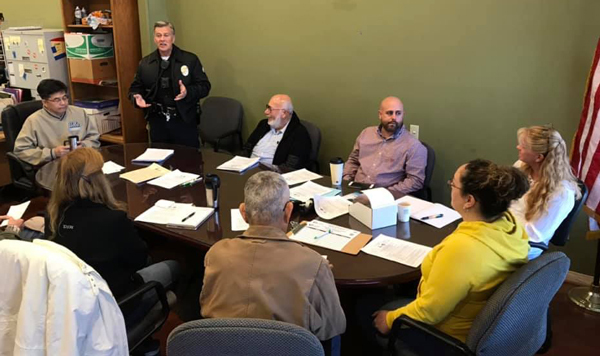 Officer Wall emphasized the challenges of businesses dealing with crime and homelessness and gave some very helpful suggestions. Did You Know? Each community has an assigned LAPD Senior Lead Officer who you are welcome to contact with questions and concerns. You can zoom up this MAP to find out your home or business, and then see who your LAPD Sr. Lead Officer is with their contact information. Second Tuesday of every month, SVANC Board Meeting! We love to hear from those of you who live and/or work in Sun Valley. We encourage you to be a part of our meetings.  The Neighborhood Council system was established to give the residents and businesses easier access to voice their opinions and identify problem areas in our communities. 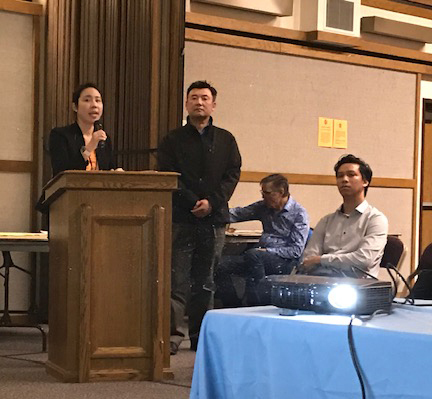 We are always joined by either our elected officials (Council Members of CD2 and CD6, our LAUSD board member, state assembly & state senate) or their representatives with whom SVANC works hand and hand to assess and plan how to make Sun Valley better. We also get a report concerning our area from the Sr. Lead Officers of the LAPD and from the LAFD when they are not called out on an emergency. The Friday or Saturday before our meeting we send out an agenda of topics ( sign-up here! ) that will be covered in that upcoming Tuesday meeting. You always have the opportunity to voice your opinion or ask questions on any of those agenda items as well as speak on non-agenda items - you only have to fill out a speaker card. All committee meetings are open to the community also... View Committee Meetings Here! Our next meeting is April 9th. Get involved and hear what is going on in our local government and in our communities. See you then!